My LAB making rendered a lot of whey, and even more curds. 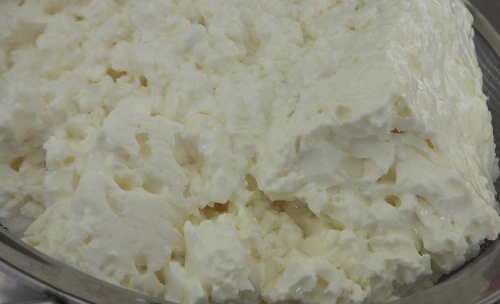 I was planning on turning that into cottage cheese, but after straining and pressing it remained too crumbly. 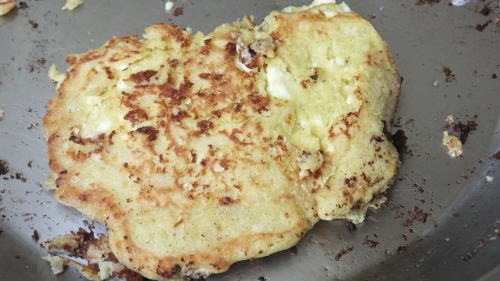 So this morning, for Father’s Day, I got experimental and after a couple of trials put some yummy curds/egg/gluten-free flour/salt and sugar “pancakes” on the table. With homemade blueberry jam they reminded everyone of blintzes, only better. Crunchy and melted, salty and sweet, with a hint of sour, it was a hit!